Warning: This document is deprecated. For information about authorizing Android apps using OAuth 2.0 please have a look at the Android Play Services Authorization documentation. For an up-to-date Android sample app using the Google Tasks API have a look at the Google Tasks API Android sample from the Google APIs Client Library for Java. This document explains how to use the Tasks API with OAuth 2.0 on Android. It describes the authorization mechanisms to gain access to a user's Google Tasks and how you can have a ready to use Tasks API service Object in your Android application. The samples you will find in this document use the Google APIs client library for Java. You will need to add the following jars to your Android application, to do that, place the jars listed below in the /assets folder at the root of your android application. Also check for new versions as this document gets older. 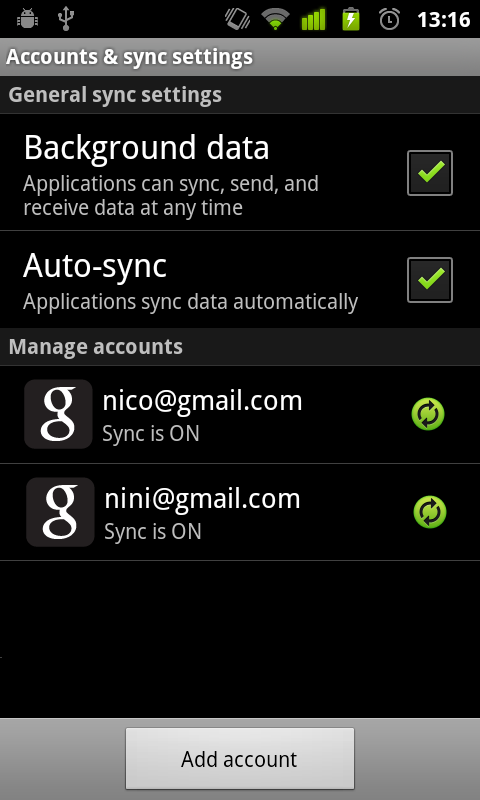 Since Android 2.0, the AccountManager manages the accounts that you have registered in your environment, the ones that are listed under Settings > Accounts & sync. Specifically, it handles the authorization flow and can generate authorization tokens that are required to access data using APIs. 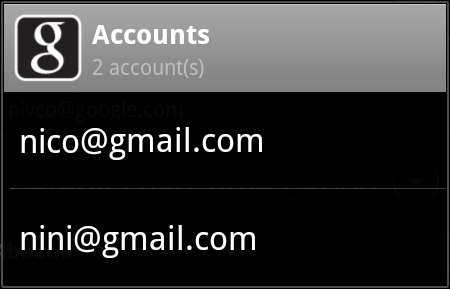 Calling showDialog(DIALOG_ACCOUNTS) will display the account chooser dialog. 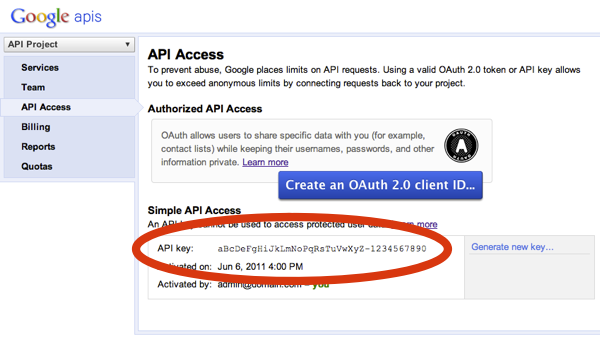 You can also use the AUTH_TOKEN_TYPE alias View your tasks which is equivalent to the Tasks API read-only scope: oauth2:https://www.googleapis.com/auth/tasks.readonly. During the AccountManager.getAuthToken() call the AccountManager will check if your application has been authorized to access the Tasks API. If your application has not yet been authorized an Activity is started by the AccountManager which displays an authorization dialog to the user so that they can Allow or Deny your application to use the Tasks API on their account. If the user denies your application access to the Tasks API, an OperationCanceledException will be thrown during the future.getResult() call. You should handle that gracefully for example by asking to choose the account again or displaying a message with a button to authorize access again. Request an accessToken to the AccountManager every time you make requests through the API. Since the AccountManager caches the token this solution is acceptable. Keep using your accessToken until you get a 403 error at which point you ask for a new token to the AccountManager. We recently added a new sample to the Google APIs Client Library for Java sample repository to help you getting started with the Tasks API and OAuth 2.0 on Android. The sample is a simple but fully working Android application which requests authorization to use the Tasks API and display the default task list's tasks in a ListView. Follow these instructions to get the sample running, and don't hesitate to post your feedback or questions to the Google Tasks API Forum.